Thirteen-year-old Eva opens her eyes to find herself in a hospital, her body paralyzed while it heals from a devastating accident. Her mother says that Eva will be able to move her hands and face soon and that everything is going to be fine, but something in her voice tells Eva it's not that simple. The doctors give Eva a keyboard that turns her typing into speech and controls a mirror that rotates to look around the room and out the window--every direction except back at her bed. What are the doctors trying to hide from her? 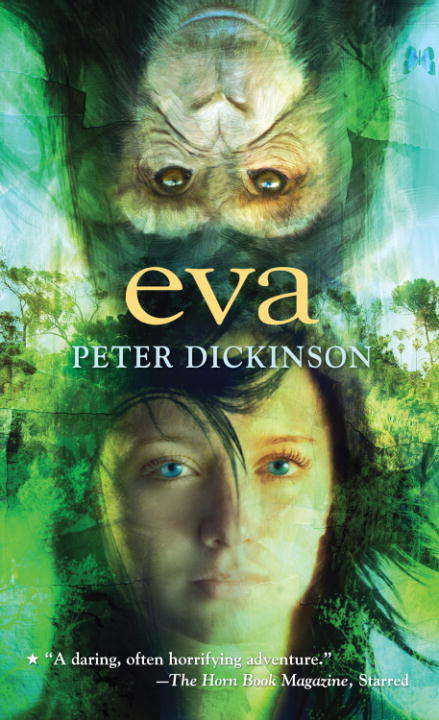 And why, in an overpopulated world where humans have tamed all the wild places, does Eva keep dreaming of a forest she's never seen?